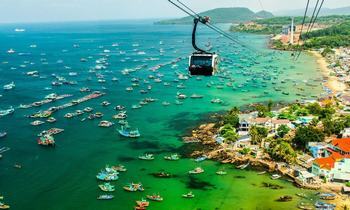 Phu Quoc or Dalat - Which destination is the best for summer vacation? 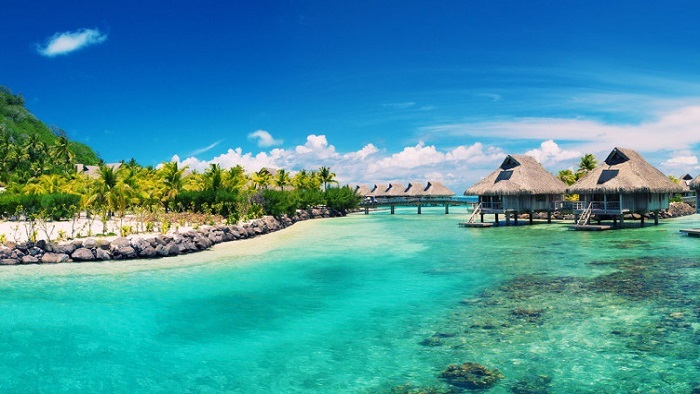 Phu Quoc is considered the tropical sea paradise with blue sea, white sand, and yellow sunlight for relaxing and experiencing while Dalat located at the height of 1500 meters is “a miniature Paris of Vietnam.” If you want to know which location is the best for summer vacation in 2019, let’s check this post. The reason you should travel to Phu Quoc right this summer is that the transportation is very convenient here. You can take a flight straight from Hanoi, Can Tho or Ho Chi Minh City to Phu Quoc island district because Phu Quoc International Airport was built in 2012 to meet the increasing needs of tourists. Besides, you can also travel by boat from the port area in the east connecting Phu Quoc island with Ha Tien- a town close to the Vietnam - Cambodia border area with a frequency of 2 trips/day. Located in the south of Highland Central of Vietnam, it is easy for tourists, especially Vietnamese tourists to get to Dalat. For domestic tourists, they prefer to get to Dalat by motorbike because it is an excellent experience to admire the beautiful landscape along the road. However, foreign tourists should go to Dalat from Ho Chi Minh city by bus. It takes about 5 hours to get to Dalat from Mien Dong bus station in Ho Chi Minh city. 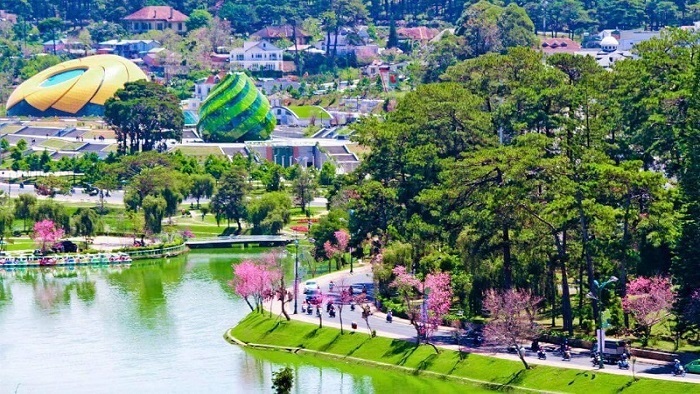 Dalat is near to Ho Chi Minh city, so it is more convenient for tourists to get there. Yet, if you are in other locations in Vietnam such as Hanoi, Halong Bay, Hue, you can take a straight flight to Phu Quoc without any stops. Phu Quoc is located in the Gulf of Thailand; there is mostly no storm in the area. The climate of Phu Quoc is quite stable with two seasons: the dry season and rainy season. The rainy season comes to Phu Quoc from June and lasts to the end of September, meanwhile, the dry season is from October to May. Because Phu Quoc is nearest to the equator, the island receives a large amount of heat and sunlight illuminates throughout 12 months of the year. 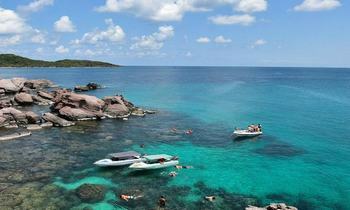 So, Phu Quoc is really suitable for sea activities such as sunbathing, swimming, diving, surfing, etc. The weather of Dalat is compared to the characteristic of a young woman who is beautiful but unpredictable. If you visit Dalat, you will have a chance to experience four seasons in a day. In the morning, the space of Dalat is covered by a slight mist, and you can feel the cooling airflows of spring inserting through the layers of clothing into your skin. When the sun goes high, the entire city is being illuminated by the sunlight of summer. In the afternoon, the breezes pull the white clouds in the city, and you will feel the features of autumn in the city. If you go out to enjoy Dalat at night, don’t forget to bring along the coat because the temperature goes down very fast, it is going to be very cold in the late night. Foreign tourists immensely like the type of Phu Quoc’s climate while domestic tourists prefer Dalat to Phu Quoc. 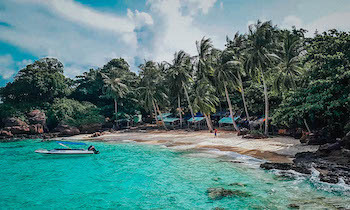 Phu Quoc is blessed with many beautiful beaches including Long beach, Sao beach, Kem beach, Ong Lang beach, Ganh Dau beach, etc, whereas, many beaches here are on the list of the most beautiful beaches in the world. 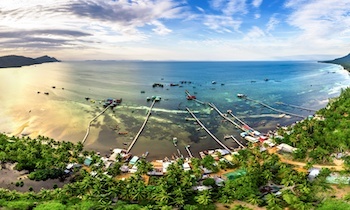 A unique feature that makes beaches in Phu Quoc particularly attractive to visitors is that they still retain the pristine beauty with clear blue sea water, smooth white sand and lush coconut tree lines. 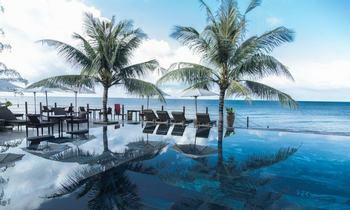 That brings visitors the feeling of a tropical paradise when traveling to Phu Quoc. Coming to Phu Quoc, you can freely experience and explore the pristine and idyllic beauty of this island. There are many tourist attractions including natural spots, historical and cultural destinations on the island such as Phu Quoc prison, Dinh Cau temple, so you can arrange a trip for yourself to learn the distinctive culture and history as well as the living of local people. 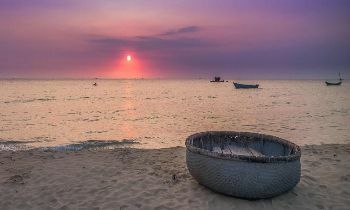 Phu Quoc national park is situated in the heart of Phu Quoc covering 60% natural land of the island. Coming to this national park, tourists can take a walk around the beautiful sandy beaches; drown in the cool streams such as Tranh stream, Da Ban stream, etc; dive into contemplating the gorgeous coral reefs. Besides that, you can participate in many exciting tours to explore the hidden beauty of the island such as night squid fishing, etc. Many people said that Dalat is a paradise of love. With the peaceful and idyllic landscape, Dalat is extremely an ideal place for couples seeking romantic memories together. 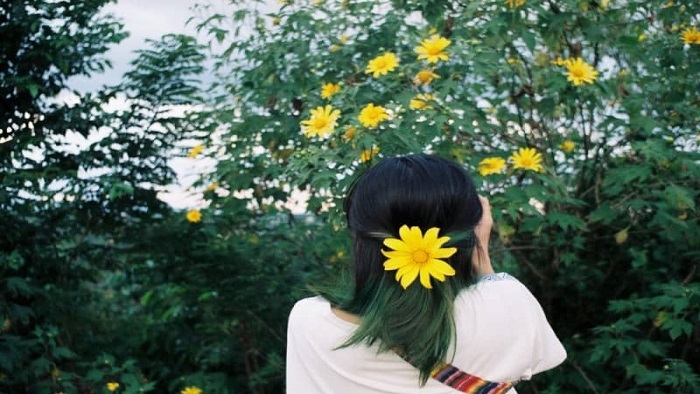 Dalat is known as “the city of flowers”, the city is full of colorful flowers all year round, especially if you come to Dalat in November, you will have a chance to see the beautiful wild sunflowers blooming on the side of roads. Dalat is also famous for romantic cafes. Dalat people is known as poetic people, so they decorate the cafes very aesthetic. A list of famous cafes in Dalat tourists should visit includes Song Vy cafe with French melodies, Lieu O cafe, Moc cafe, Tung cafe, Cung cafe, etc. Dalat is blessed with idyllic landscape and temperate climate right in the pan of the tropical region; it is considered a paradise to escape the heat of summer for Vietnamese people. Coming to Dalat, you will be no lack of amazing photos because it is one of the most famous check-in places in Vietnam. 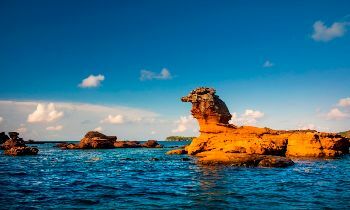 Nevertheless, Phu Quoc is appreciated to Dalat due to its diverse tourism forms with a wide chain of beautiful destinations to see, and things do in Phu Quoc. 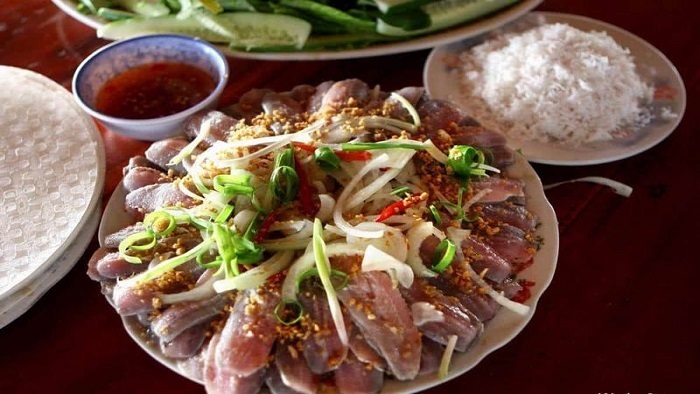 There are many delicious dishes and specialties you can enjoy while traveling to Phu Quoc. This island is especially famous for a variety of seafood and dishes made from fresh seafood. It can be mentioned as grilled shellfish with salt and chili, herring salad, grilled sea prawn, or grilled snail. You also have the opportunity to enjoy and buy as gifts the famous specialties of this island such as Phu Quoc anchovy fish sauce, Phu Quoc pepper. Sim wine is especially a delicious drink with the ability to enhance vitality and health; you can choose pearls in Phu Quoc as a gift for your relatives. Street food is one of the salient features of Dalat cuisine. If you arrive in Dalat, you will not be able to ignore the attractiveness of street food here. Moreover, Dalat is also famous for its fragrant baked rice cakes. It is better to enjoy this kind of rice paper in the evening at the market. The heat emanating from the grilled charcoal, the taste of eggs, meat, onion easily make you unable to hold back. Strawberries are one of Da Lat's specialties. Don't hesitate to visit the strawberry farm in Dalat to admire and hand-pick the ripe berries. Both Dalat and Phu Quoc have its own attractive cuisine, it is hard to compare which is better. So if you have a chance, let’s come to two destinations to define it on your own taste. 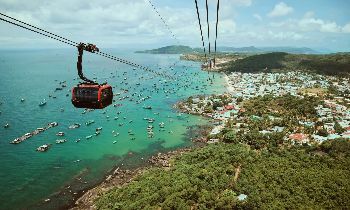 Although Phu Quoc won in this funny competition, you can take a tour to this beautiful highland city in your Vietnam trip. And about Phu Quoc, let’s take a backpack and book a Phu Quoc island tour now. Contact us if you need more details about tour. Thank you! 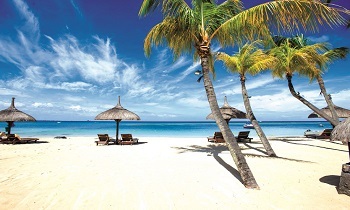 NAVIGATE Phu Quoc or Dalat - Which destination is the best for summer vacation?